Have the Pros do it Right! 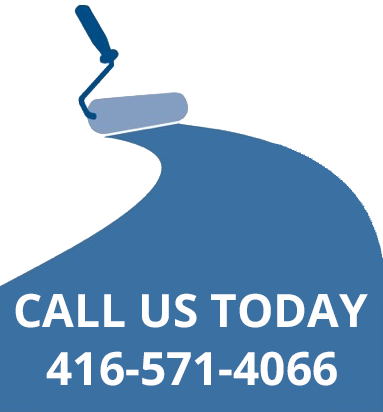 Absolute Pro Painters is a full service commercial and residential painting company that was established in 2007. APP is built on 22 years of construction knowledge in commercial and residential building and brings a valuable combination skill set of strategic planning, product knowledge, team leadership and client relationship management. A full time crew of 6 painters each having five years of experience or more in residential and commercial painting, ensures the job is completed efficiently, on time, at the highest of standards and within budget. Fully insured, WSIB compliant, Certified and Licensed. In Addition, we install wallcoverings, vinyl and paper, spray paint surfaces, deck ceilings, epoxy floors, cabinet refinishing, repair drywall damage and stain and refinish wood products. We stand behind our work with a client warranty protecting you for two years against defect in product and workmanship. We partner with Sherwin Williams Paints, Dulux Paints and Benjamin Moore, to provide high quality products for each and every job we do. LET THE PROS DO IT RIGHT!